San Francisco Ballet will bring 38 Company dancers from 13 countries to perform two completely different programs in the iconic Sun Valley Pavilion. Program A on July 5 presents an evening of mixed repertory work and pas de deux. Program B on July 7 features three ballets from the 2018 Unbound Festival of New Works. The conductor of the Festival orchestra will be Maestro Martin West, acknowledged as one of the world’s foremost ballet conductors. *Please note: Programming is subject to change. San Francisco Ballet, long recognized for pushing boundaries in dance, has a history of making history. Founded in 1933, San Francisco Ballet staged the first full-length American productions of Coppélia (1938) and Swan Lake (1940) and, in 1944, SF Ballet launched an annual holiday tradition when the Company produced the first full-length production of Nutcracker in the US. Led by Artistic Director and Principal Choreographer, Helgi Tomasson, SF Ballet is accompanied by its own orchestra and operates one of the country’s most prestigious schools of ballet. 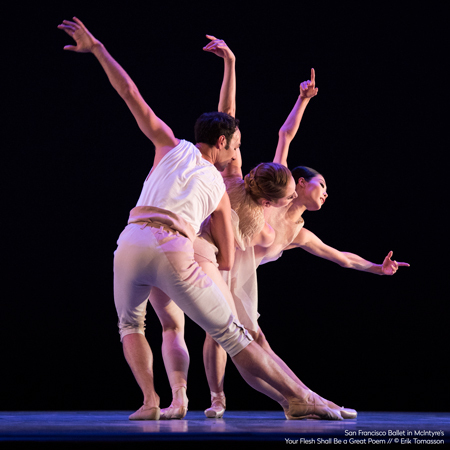 Today SF Ballet builds on its heritage by commissioning groundbreaking dance from today’s top choreographers, by uncovering new choreographic talent, and by staging modern classics and the works that make up the canon of classic ballet. The Company’s approach defines ballet in the 21st century, and it makes San Francisco Ballet the essential place to see the most adventurous dance in America. Learn more about San Francisco Ballet.